Moving beehives from one location to another is often a necessary step in apiary management. Commercial beekeepers routinely move large numbers of hives often during a season, to pollinate crops, avoid pesticide applications or to utilize specific honey flows. Beekeeping hobbyists may also move bees to distant honey flows or pollination sites, or to bring home a newly purchased hive. Large-scale beekeepers usually utilize specialized equipment: truck-mounted loaders or forklifts that rapidly load and unload pallets of hives from truck and trailer rigs. However, the beekeeper with a few hives can successfully move his bees with equipment available at home. As in many aspects of bee husbandry, the procedure is simple if the beekeeper understands and acts in harmony with the bees’ normal activities. Planning and attention to detail is required to minimize equipment damage, bee injury, and lost bees. Moving honeybee hives short distances within the apiary, for example, requires that the beekeeper accommodate the bees’ directional senses, which enable them to return to their own hive. Because the bees “read” their location by orientation to the sun, the hive may be moved a greater distance forward or backward in the apiary than it can laterally. However, if the distance is too great, “drifting” will occur, and disoriented, lost bees will return to the previous hive location, or attempt to enter adjacent hives. Homeless bees are not productive bees, nor happy bees, undesirable in the beeyard to both people and other bees. 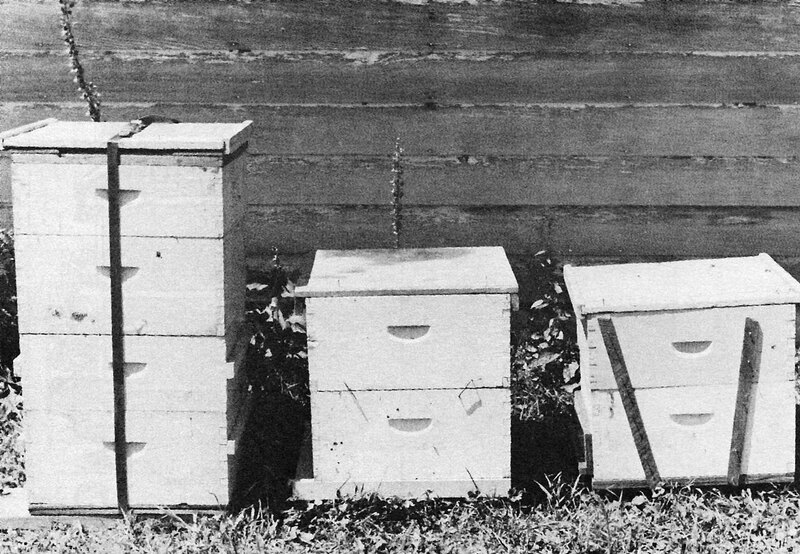 A primary goal during any move should be to prevent lost bees. Thus, for short moves, the hive should be moved a short distance every day until the new location is reached. Similarly, hives moved longer distances must be transported 2 – 3 miles beyond the flight ranges of their former location to prevent foraging bees from returning to their old home. 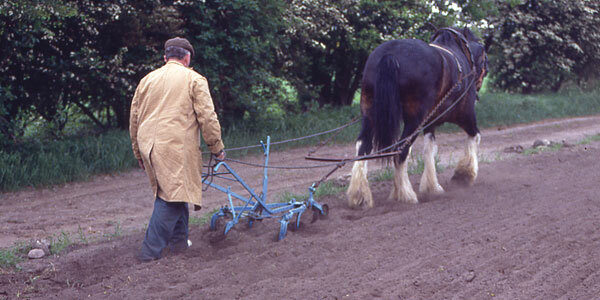 Such moves are best made when all the field bees are inside — late in the day or early in the morning. Disturbing the bee’s exit from the hive in some way — a board propped across the entrance, or grass in the doorway — will make the bees mark the new location as they leave the hive to forage. If the move is short enough that some bees do return to the old hive site, a hive body may be left there for them. This may then be joined to the rest of the hive in a few days. 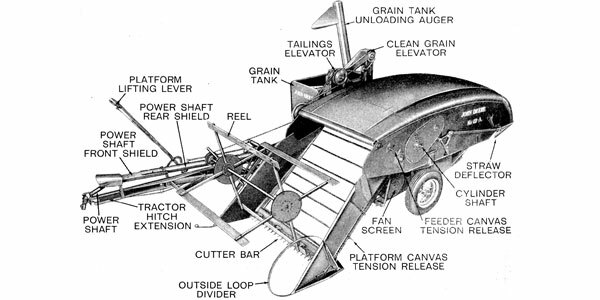 Ideally, moving bees is accomplished in accord with the hive’s activities, as a two-step procedure. The hive must first be prepared for the move, and these disruptive events are best accomplished during the day — sunny warm flight weather. Part two, the move itself, is done with minimal disturbance, when the apiary is quiet and the hive’s inhabitants are all at home — cool late evening or early morning. The beekeeper’s goal is to have the bees settled in their new location before flight-time the next day. To prepare the hive for the move, first remove any surplus honey. Moving bees is a two-person job at best, and large hives are very heavy. Bigger hives are much more likely to be dropped or tipped over during the moving process. In general, if the hive is larger than two or three deep boxes, the move will be easier on bees and beekeeper if some honey is removed. Next, the loosely stacked boxes of the hive must be attached together to ensure containment of the bees despite the jostling and tilting (and perhaps accidental dropping) during the move. Several methods are commonly used. Wooden laths require no special equipment. On at least two sides of the hive, a pair of laths are nailed from the bottom board across all the hive bodies. Hive staples, available from bee supply stores, are inexpensive wide copper staples designed to connect one hive body to another. 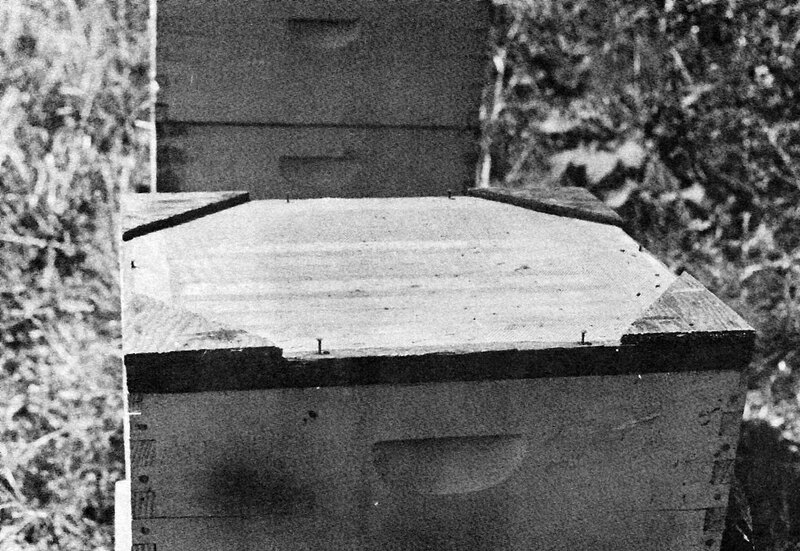 At least two staples, angled oppositely, are required at each juncture to prevent parallelograming of the hive boxes, and subsequent escape of the bees. A third method, strapping the hive together, avoids nail damage to the hive boxes, and eliminates pounding on the hive with a hammer (never popular with the bees) as must be done to set staples or laths. Metal or plastic strapping may be used, but I prefer my reusable 1″ nylon straps with overcenter snaplatches, purchased from an auto parts specialty store. Strapping a hive will tightly bind the hive cover to the hive. If strapping is not used, the top of the hive may be closed by simply nailing the hive cover to the top hive box. 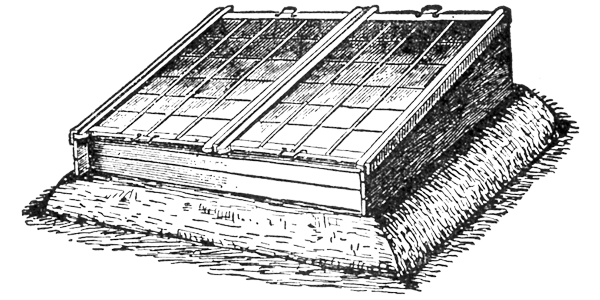 However, if the move will keep the bees confined to the hive during the day, an easily built top-screen will give the hive added ventilation. Water may be sprayed onto the top-screen to help cool the contained bees during a warm day. To close the bees into the hive, built-to-fit entrance screens tacked onto the hive front are ideal. Folded screens or rags may be tucked into the hive entrance, but invariably a few determined bees will find their way out. Solid entrance blockers such as boards or duct tape are for short moves only — they can dangerously decrease the hive’s ventilation. 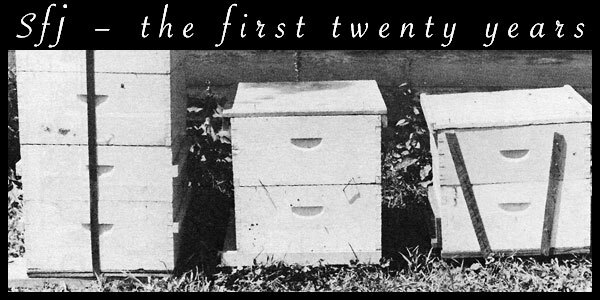 Carrying the hive is simplified by the attachment of a pair of 1″ x 2″ cleats to the front and back of the hive. Besides providing handy lifting handles on the lower hive bodies, the cleats offer an attachment point for commercial or hand-made hive carriers. 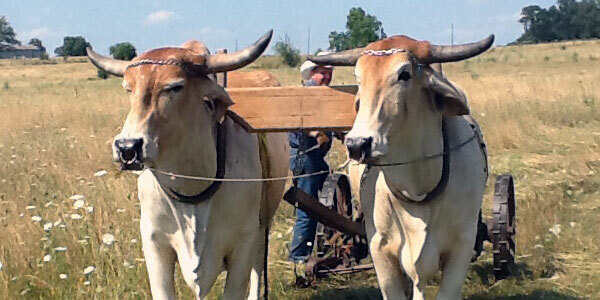 These grasp the hive sedan-chair style, offering two pairs of handles to aid long carries. Ideally, all preparations for the move except the final placement of the entrance screens are completed during the day. The bees will then have a chance to settle down after any pounding or disruption of the hive, and can return to their normal activities. As the day cools and the sun goes down, the fields bees return to the hive for the night. When all is quiet at the hive, the actual move may begin. Keep in mind that bees disturbed at night react differently than during the day. In the dark, their tendency is to crawl, not fly, although they will fly towards light. 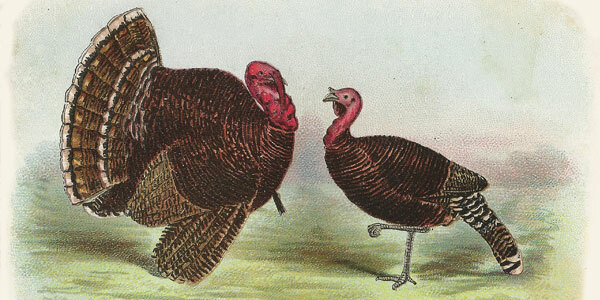 Protective clothing should be used, with extra attention at the wrists and ankles to avoid crawling escapees. Flashlights with red lenses or covered with red cellophane may be used without attracting the bees. A bee veil should be kept handy while driving, as the warmer cab temperature may activate sluggish bees, hidden on clothing or equipment. With minimal disturbance, then, the hive entrance is closed. Gently shaking the hive will agitate the bees, checking for leaks or cracks which can be closed with duct tape. When all is secure, the hive may be moved. For truck travel, top-heavy beehives must be tied securely. 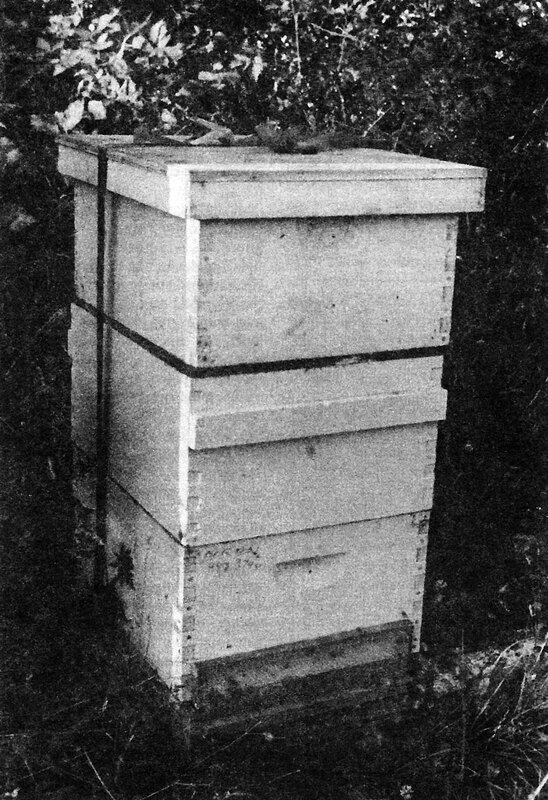 Wedging the hives in place with empty supers or other equipment will help eliminate swaying and tilting. Minimizing hive movement will help prevent crushing injury to the bees within the hive. At the new location, set the hive in place, then wait at least 10 to 15 minutes to allow the bees to settle after the move. When the bees are quiet, carefully remove the entrance screens. Mark the entrance with a handful of grass, sticks or a board, so the bees will orient themselves with special care when they first leave the hive. As the sun comes up, and the new day’s temperature slowly rises into flight-time, housekeeper bees begin to repair the damage done to the combs, and remove the bees dead or injured during the move. Soon the field bees begin to explore their new pollen and nectar sources. Within a few days, the honeybee colony will be its smoothly productive self again, well-established and happy in its new location.